Light, the digital photography company that is a proponent of the possibilities evoked by multi-lens photography on a mobile device, has outed a dedicated section on its website with a header that looks conspicuously like the Nokia 9 phone teaser. It depicts 4-, 6-, and even 9-lens cameras on a mobile device, arranged in different configurations on the back, complete with flash and light sensors. 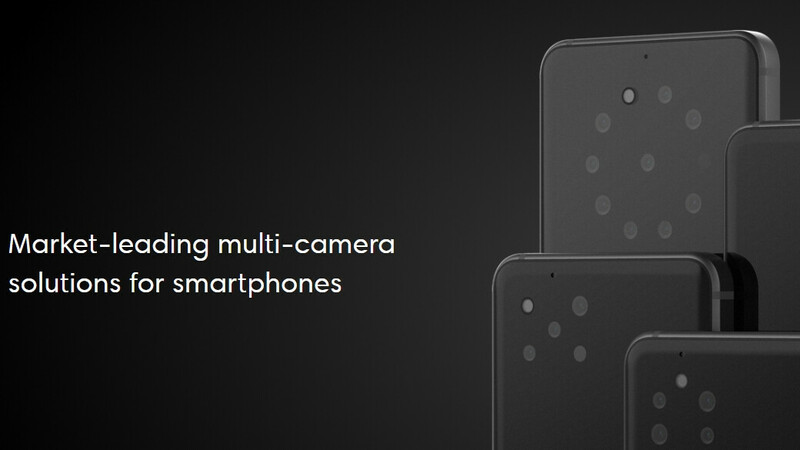 Well, the eventual Nokia 9 PureView, rumored to be announced soon, is only said to arrive with a 5-lens kit, the poor soul. We kid, but if Nokia has indeed managed to pull this off, it might very well have been in partnership with the Light company which has Foxconn as a manufacturing partner - coincidentally, the same one that Nokia has. Light already has a 16-lens camera on the market, whose owners seem to mostly like the fact that it replaces their DSLR in 80% of the cases. Light extolls the virtues of its L16 contraption and says it can stuff the same technology into smartphones now, bringing "unparalleled sharpness" and "13 stops of dynamic range" captured simultaneously. Add to these the depth control that only a multi-lens camera can bring, some computational photography chops, and we are getting very excited to see if Nokia would indeed announce a phone with a 5-lens camera before the MWC expo next month, as is speculated. The eventual Nokia 9 PureView, however, won't be cheap, as the latest rumors about its price and release date peg the starting tag at the equivalent of $880 which is on the very high end for a Chinese phone. The rest of the specs are expected to be stellar, too, so, after so much empty hopes and rumors, we may finally be about to see the world's first 5-lens phone unveiled, ahead of the alleged 4-lens Galaxy S10X 5G model. Here are a few samples from the multi-lens camera technology of Light for your viewing (and hoping) pleasure. You don't need 5 cameras to take good pictures. PA said "The eventual Nokia 9 PureView, however, won't be cheap, as the latest rumors about its price and release date peg the starting tag at the equivalent of $880 which is on the very high end for a Chinese phone" You will never hear PA say this about the Fruit Phone which is also a Chinese phone! Fruit Phones are the most overpriced Chinese phones! Nokia IS Chinese. HMD is a Chinese company and the only non-Chinese thing in the brand is the name. :) Apple, Samsung, Sony are not, although produced in China. HMD is Finnish and not Chinese! You made yourself look stupid! This sure to bring something innovative into the smartphone space. Companies like Huawei, Samsung, and others have proven that adding extra camera's to their smartphones with the right software backing it can lead to you having smartphones like the P20 Pro, which currently has the best camera on a smartphone. With the Nokia 9 possibly using this Light technology, I'm expecting some innovative things from it. Multi lens camera rn has only two advantage over the single lens pixel camera and those are wide angle and monochrome sensors. Variable aperature and telephoto became obsolete after the launch of pixel3 because of its computation photography. I would agree with you if it wasn't for the fact of how well multi lens camera's like the ones on the Huawei P20 family have been perfoming. As I stated in my previous comment, it's the hardware plus software. Pixels are great for photography, don't get me wrong (it's their strongest suit, as the rest of hardware and software on Pixels is a mess), but they have been surpassed.